Has given my driveway a new lease of life. Excellent product and very quick delivery.. Arrived within 3 day on standard delivery terms. I have already recommended the product to a friend ! Excellent product have used before when recoating rear patio and pathway in terracotta, this time to recoat front drive printed concrete cobbles in charcoal. Delivery first class, arrived the next day. Might not be the cheapest, but it's a quality product. Outstanding finish.Two coats and it's better than new. Plus points .. Good company to deal with. Ricky in particular was very helpful. Covers well and easy to apply. Looks good. Negative points .. Says Matt on the tin however more like gloss and slippery. Had to order another 5 litre can to add a 2nd coat of non slip. Therefore used more than really required. Purchased 3 rubber mats to further reduce risk as the drive is on a slight incline. Used steel grey tint with a Matt sealer to re do our drive for the first time in 11 years, It went on so easy and the final results for fantastic, it looks like it did when it was first done, absolutely brilliant. Just a short note to say how pleased I am with Smartseal. Our imprinted concrete drive was in need of some serious TLC. Nigel's help was invaluable. His suggestions in terms of products needed & methods of application worked a treat. The drive now looks as good as new & certainly turns heads every time people walk past it. It's rare to find such a friendly & customer orientated organisation. No hesitation at all in recommending Smartseal. Did the job well! Would recommend. Great service from Smartseal too, would use product/company again. Hello, I just re-sealed my concrete imprinted drive and patio using the Matt sealer with anti-slip. Both look brand new providing a first class finish. Many thanks to the staff at Smartseal for the helpful advice on choosing the right product and recommending trying both the matt & silk finish samples. We settled on the Matt finish. Many thanks to Tracy from Smartseal for all the advice given We are 100% happy with the finish. Highly recommend the video. Products are excellent and advice/service from Ricky was also excellent. Also, if you follow the video guide you will get an excellent result. my drive was laid 12 years ago and has come up like new after applying 3 coats of sealer with some colouring/tinting included. It covers well and with colar makes a professional finish. great product , my drive looks new again. I used this with a black die pigment added, what a fantastic product and well worth the money. My drive now looks as good as new. I will be buying again. Excellent product. The drive is looking as new after applying the matt sealant in combination with the Tint. Would highly recommend this sealant. Drive looks like new, great product. My patio had been laid 3 yrs and was looking jaded. Couldn't believe the instant impact of seeing my patio renewed to 'as good as new' condition immediately. After drying we then applied the silk finish with anti slip. The finish and surface properties are fantastic. I am very satisfied with the results and the service I received. I am really pleased with the quality of this product. The finish is excellent. What more can I say. Very easy to apply all done in a day !! Easy to use product and great delivery service. The drive way is back to new. I can't praise Smartseal enough. From initial enquiry over what I needed to resealing my imprinted driveway, through ordering, delivery and personal on the job advice from Nigel to quality of product. The sealer was easy to apply and has left my driveway looking better than its original condition. Thanks very much, many other companies could learn from you customer service. Excellent delivery service. Excellent product, easy to use and looks great. My drive looks like new. I only finished the sealing of the drive a few days ago so cannot comment as to its durability yet.25 litres covered approximately 120 square metres of drive. The first coat took quite a bit more sealant than the second as the drive had not been touched in over 10 years. The finish with the tint added is like new. As mentioned on the videos that smartseal provide it's very important to keep the liquid well mixed with the broom. Also a good idea I think to let your neighbours know in advance that there will be an odour from the sealant for a while-just good manners as they can shut their windows. Delivery spot-on, drive now looks better than when first laid. Very good sealant, i used the matt sealant to patch the drive, then went over with the silk, i gave it 2 coats of silk. So easy and quick to use and apply. The sealant has totally transformed my 7 year old drive that it looks almost new again. Wish I had used it two or three years back, but will certainly be applying now every couple of years. Just used a small amount of colour dye and anti slip on the second coat. The Matt finish has a nice sheen and wouldn't want to go any more glossy but it's just personal taste. A professionally ran business who seem happy to help out the DIY'ers. By doing it my self with your sealant, it's save me over a £1000, by watching you on you tube it was so simple well recommended. Have used this with the tint on some very worn carpet cobbles. They look good as new. Really pleased with end look, price, delivery and excellent advice. It's the best sealant I've used on my drive, two coats and it's back to new. Very pleased I know where to come too next time. Thank you Nigel for your professional advice and excellent products. The job was extremely straightforward after your clear instructions. We would never have managed to do such a great job at matching the old imprinted concrete to our new patio without your help. We are delighted with the results. An excellent product the sealer for our pattern imprinted concrete did the job brilliantly. We have quite a bit more to do and will have no hesitation in ordering more. Excellent product......does what it says on tin! Was quoted £2000 to clean and seal paths, patio and drive. With aid of Smartseal imprinted concrete sealant, 2 brooms, jet wash and 3 days work.....we have done it ourselves for £300! Delivery was extremely quick. Thank you. Nigel, See photos of my drive after being renovated using Smartseal products. It has come up like new, very pleased. Hi Donna Just to let you know I received all the goods in order and today I have put two coats of the sealant and the last coat with the anti slip. I was a little scared to start with but soon got into the swing and now my drive is completely re-vitalized and looking fab. I much appreciated your good practical and thorough advice over the phone and this helped to make a good job well done. I also watched your video which was a good instructional tool. Thank you again for your assistance. Kind regards Geraldine. Just a quick line to say thank you for the advice, information, delivary and end product you supplied me this week. Following my telephone conversation and order placed Tuesday of this week, goods were received on Wednesday and applied that same day. The finished result is 1st class, with our drive almost like new again. Particular thanks to the lady I spoke to on the 'phone who was most helpfull and provided me with solid advice. Good service and exellent product. I would like to thank Nigel for the advice given, following the photo's I sent to him showing the condition of the printed concrete patio and path at my house. The company he put in touch with me, Castle Cleaning based in Maidstone Kent, (as I could not do the job myself), they made a fabulous job of cleaning and re sealing the patio and path area, it now looks as good as new. Thank you Nigel and the team at Smartseal. I found them all extremely helpful. Products were delivered promptly. Sealant was easy to use and has restored my driveway to it's former glory. I thoroughly recommend this company and all of their products. products all arrived very promptly with good communication to keep me in the picture. Unfortunately I'm still waiting for a dry spell in which to use them. I have used the repair mix before ordering more of the same ( I've got a lot of drive / patio to do ) and the full sealing products. That's the best evidence I can give that I was satisfied with what I've used : if the rest is as good as it sounds I shall be very pleased ! 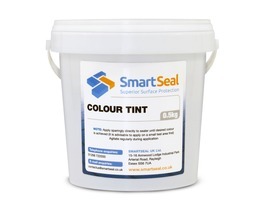 sealer arrived the day after i ordered so delivery very prompt, i added a tint as drive was very discoloured, it works very well, tint very strong, get advice from smartseal on how much to use, people i spoke to at smartseal all very helpful, easy product to use. Having had a garage/ workshop built of 42 x 21 ft (Wifey calls it the man house) I needed a product to seal the concrete floor. My previous garage in the UK was forever dusting and breaking up every type of covering you can imagine, I did not want a repeat, it was due to a weak mix. I scoured France for the correct product, spoke to 4 or 5 builders, floor tigers etc and nobody had a solution to seal the concrete, so, on to google and after a few weeks head scratching rang Smartseal. I described what I had, which is a 6 month old concrete floor, power floated to a smooth finish. I was advised to use the Imprinted concrete sealer, not the standard concrete sealer. I then described the workshop use, which is wood turning, creating lots of fine dust, which in itself presents a hazard on a smooth floor, so again was advised to buy the anti-slip additive. Me being a belt and braces type of guy, I ordered after discussion the External seal for the internal use. Besides, solvent based products always outperform the water based alternatives. Next problem was how to get 50l of it to France, fortuitously I was due back in England the next weekend for a 50th wedding anniversary, so it was arranged for it all to be delivered next day to my mate in Northants. I met him in Croydon for his anniversary celebration and duly swapped the cans over to my car, hiding them behind rugs etc as I wasn't supposed to carry hazardous materials in the channel tunnel. Bugger that, it's no more dangerous than the tank of petrol, so I broke the rules! I was conscious of the risks, so also visited Screwfix for rubber gauntlets, a face shield (goggles don't work over glasses) and a twin filtered respiratory mask for fumes, not dust. I first hoovered the floor, twice, then swilled and scrubbed, removed the sap that had dropped from the A-frames (imagine your own swear words) and left to dry for a week, used a moisture meter to check it was dry, below 5%. Using the brush recommended got to work on the first half, full ventilation, 3 windows, 2 garage doors and a front door fully open brushed the first coat in. 3 hours later it was 90% dry, so added the anti-slip to the second tin and applied again with a brush. Upon returning the next morning I noticed two things, about a hundred dead flies stuck to the surface, all dead because of the fumes and brush marks in the finish, I used the Matt version and the finish I would describe as half way between Matt and silk and a slight darkening. So after carefully removing the flies, I decided to add a 3rd coat with a roller, what a difference, I now have a perfectly sealed floor, looks great and even with very sloppy shoes I could not twist, the grip is beyond expectations. So, thank you all at smart seal for your help, your products are excellent, just watch out for the flies! We were contemplating putting a new surface on our drive as it was looking very sorry for itself and a little worse for wear. After applying the smart seal sealant along with a colour tint, our driveway looks like it did the day it was initially laid. Complete transformation for a fraction of the cost! Used this product before and so am a returning customer. That says it all! 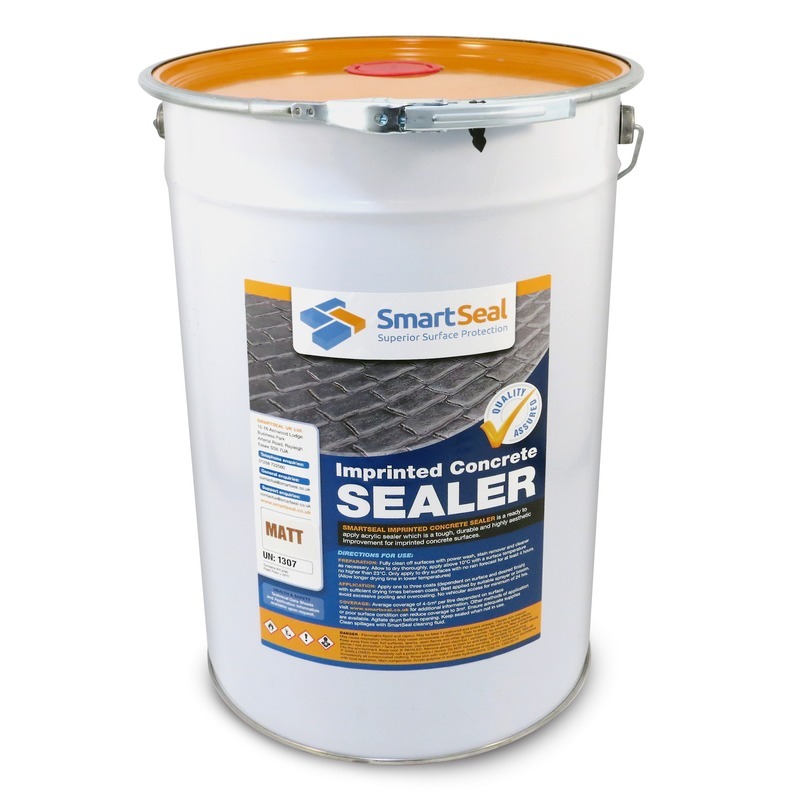 Originally Smartseal turned a bad rip off job, into a very acceptable product. It has been hard wearing and easy to clean. I have now freshened it up with a quick whizz over and again it looks great. Good Company with a good , sorry GREAT product, complemented with a very helpful work force. Very pleased with this product, it went on easily and looks veery good.I would recommend this product to other people. Not only am I pleased with the results on my imprinted driveway that i done myself, it looks better than when it was first laid 15 years ago but I am seriously considering changing my career path to restoring other peoples driveways, I found it so easy, very rewarding and above all great job satisfaction thanks to all the support from the Smartseal team. Excellent product easy to apply with top results I would recomend this and give it five stars also an excellent company to deal with ,excellent customer service and prompt delivery. By Robert owens From Aberdar, Mid Glam. South Wales. A very good easy to use product, as I hadn't really looked after my drive! It's been over 6 years since I sealed the drive it was looking in a very poor condition and few cracks had developed. I was considering having it replaced. I purchased the seal, repair compound, colour and anti slip mixture along with the application brush. All of the products are fantastic the drive looks as good as when it was first put down it took a good days hard work. Fantastic value for money, I have no reservation in recommending this company or products. Ordered Matt sealer ( because i needed some repair work to be done ), brush, tint and anti slip roughly a month ago . The delivery had been left at my neighbour 's house --and on my inspection i read the label clearly marked Silk on the Drum. On telephoning the office i was asked the colour of the lid and i was told the drum (orange lid ) simply had the wrong label on it and it was in fact matt so i accepted that . Today i followed the video guidelines and applied the finish to my drive --- it WAS silk after all !--- but having said that the finish produced is superb - i'm very satisfied with the product and will definitely use again i would give the product 5 . BUT only 1 for giving me incorrect information over the phone . Can't believe how easy this product is to use. After pondering for several years about resealing our drive ourselves we finally took the plunge. The job took about half a day and the drive looks like it did when we first had it laid, and at about a sixth of the cost of the best quote we had to have the work done trade. : I have now finished the sealing on my drive and have got to say I could not be more delighted with your product. I thank you for the very speedy delivery. It does exactly what you say and has left the drive and path as new and very evenly coloured. The product is easy to mix and brushes on very easily to leave a very professional finish. I will be returning for more when it is required. Orderd this sealer on the Wednesday before Easter holiday, wïthin 2 hours Nigel phoned to discuss the product with me. After listening to his expert advice I bought the satin finish instead. Expecting to receive it after the bank holidays, it arrived the following morning at 10.30. My drive hasn't been resealed in 4 years since it was first laid, and the finish is superb. So glad I went with the satin finish, leaves a nice sheen on the concrete, not too glossy/shiny which I didn't want. The customer service is fantastic, sealant is easy to apply and leaves the surface looking new, have recommended the company and product to family and friends. I have resealed my patio several time over the past 20 years. It looked great for a few days but then after it rained dust seamed to stick to it and would not brush. But this time I used Smartseal. The finish is amazing and after lots of rain it looks as good as the day i first did it.Thank you for a fantastic product. Five star Company & products! Nigel & Howard are experts and are happy to pass on their expertise. My last order was placed on Wednesday mid morning, Howard rang to confirm and advise at 13.30 and goods were delivered at 08.30 on Thursday. Professional, helpful and cheerful. All this with top notch products. Hello, and thank you for the prompt delivery it was much appreciated and the advice given by Nigel Blake all in all a good service from Smartseal and would not hesitate to recommend them to anyone who may be interested in the product I purchased so once again thank you so much . Mr Michael Jenner Hello, and thank you for the prompt delivery it was much appreciated and the advice given by Nigel Blake all in all a good service from Smartseal and would not hesitate to recommend them to anyone who may be interested in the product I purchased so once again thank you so much . 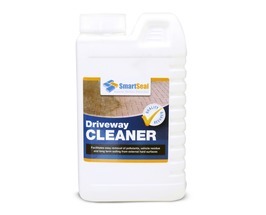 I havn't used the mat sealer or the anti slip additive on my patterend concrete drive yet, however Smartseal staff have been great to deal with,they answered questions about the products and NO pushy salesmen.Brilliant I will use Smartseal again. 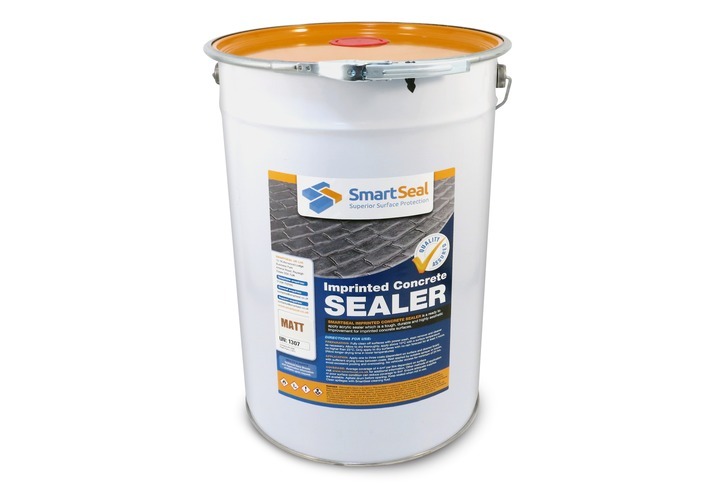 Have just bought a five gallon (25L) drum of mat patterned concrete drive sealer together with 500 gram drum of anti slip additive .Although I have not used the items yet I would like to say that Smartseal staff were great to deal with. Many thanks for the prompt delivery of my sealer, colour, antislip & brush. Your telephone call to confirm the order and advice was greatly appreciated. We did my drive and my brother in law's drive last weekend, both were badly worn, and the results really are as good as new. Thanks again for great service and a great product. Service rating 5 (excellent) - could not be better!! I found your Company excellent to deal with. Your agent that I spoke to before I ordered my Matt, additive and anti slipping confirmed that I had understood your detailed step-by-step guide and gave me the confidence to order what I needed to restore my driveway. I placed the order and received a call from another of your Agents to double check that I had ordered the correct goods for my project. You are a very customer oriented business and I would not hesitate to recommend you to anyone that requires your products. My driveway is restored to it original state with just a few hours of my time. Thanks a million! EXCELLENT EASY TO USE EVEN FOR A FIRST TIME USER HOPING IT PASSES OUR BAD WINTER CONDITIONS STILL LOTS LEFT GOOD VALUE. 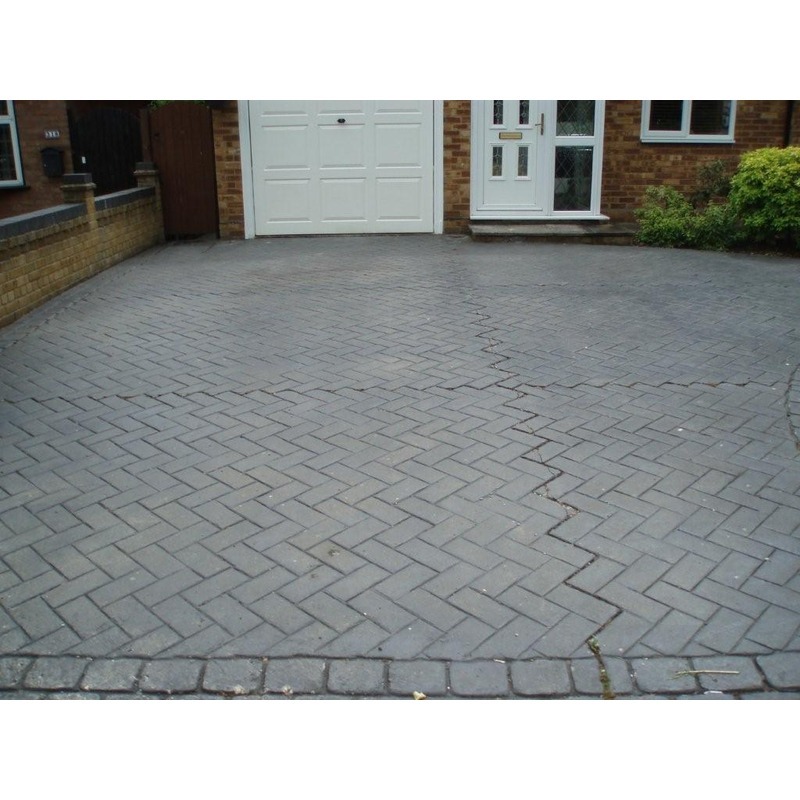 What great service and products, the advice I received from the staff after sending in some photos of my sad driveway has now made it look better now then when it was first done. The tint used with the matt as a first coat, followed by a final coat with the silk a little more tint has produced the finish that I was hoping for. After the poor job done by the so called experts I was at the point of having the driveway dug up, but thanks to finding Smartseal I now have an imprinted conrete driveway that looks great. A big thank you to all the staff. 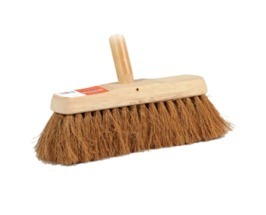 An very good quality product and easily applied with broom that I also ordered. Having received comprehensive advice from Smartseal and used in conjunction with a colour tint , my driveway now looks like new again; in fact my wife thinks it looks better than new! What a really excellent customer focussed business, I watched the video, read the reviews and ordered. 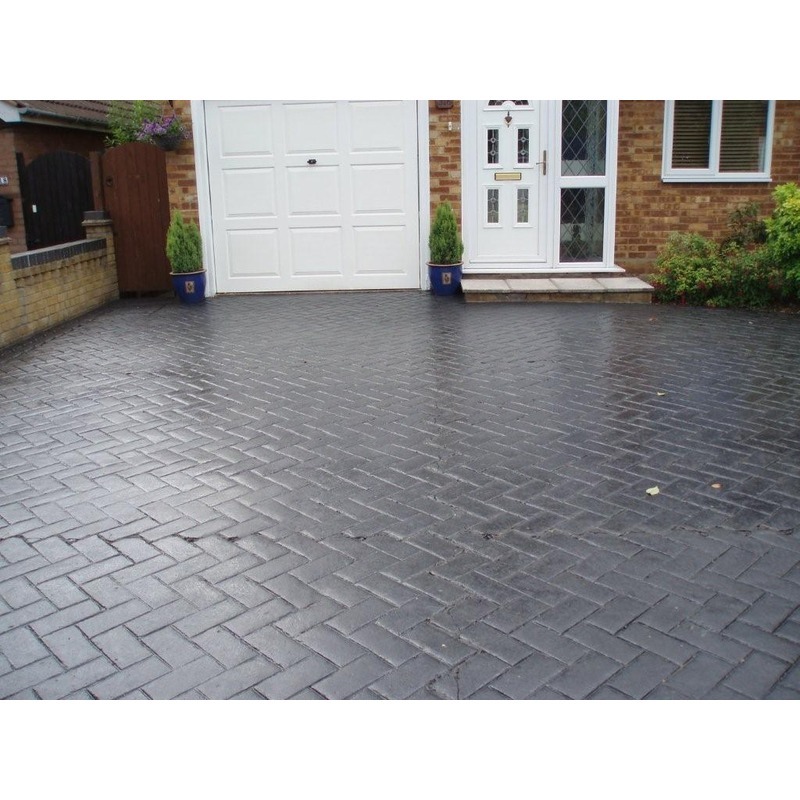 What made the real difference was the phone call before despatch from Nigel, he talked me through the process, provided excellent advice of how to tackle the job and as a result I have a fully restored great looking driveway. I would certainly recommend this great company. I ordered the matt imprinted concrete sealer, imprinted concrete colour tint and a sealing broom. I received a call the following day to check that the items ordered where exactly what I needed. The adviser recommended using the coloured crack filler would be the best option instead of the colour tint, to fill hairline cracks and make repairs to the chipped areas. Items where dispatched the same day and arrived the following morning. I am very pleased with Smart Seals advice and service. The crack filler was extremely easy to apply and after applying the sealer has made my drive look just like new again. Many thanks to Smart Seal. By G. Fletcher From Willenhall, West Midlands. Drive was a mess. This tint with the reapir fluid and sealer has rejuvenated my drive. Not 100% as it was originally, but this has done exactly what designed to do and made my drive look visibly good again. Very impressed with sealer Drive looks new, people passing have even commented on how good it looks. I also was very impressed by smartseal's customer service they phoned me up to make sure i had ordered the right products and told me the best way to use them and what amount of tint to use. Excellent product we wanted to smarten the appearance of our driveway for our sons wedding. The drive loooks as good as new we were so pleased even passersby passed comment. The product was delivered promptly we even received a phone call offering help and advice if needed.We would definately recommend this product and the company. Ordered the matt imprinted concrete sealer. Had a call the following day suggesting the silk finish would be a better product for my drive. Was dispatched the same day and arrived the following day. Really pleased with smartseals advice and service. The sealer was easy to apply and has made my drive look like new again. The imprinted concrete sealer arrived very promtly .I had used a similar product at an earlier date,so i was interested in how the product would be & ease of use. I purchased the broom recomended & there was no problem in using this. i would recomend this product the drive looks like new.Also when I contacted the firm I found them most helpful & obliging. A great product .Many thanks. Matt Finish Patterned Imprinted Concrete Sealer for Driveways and Patios. Our matt finish Imprinted Concrete Sealer has been specially formulated to help with re-colouring and re-sealing of imprinted concrete driveways and patios. 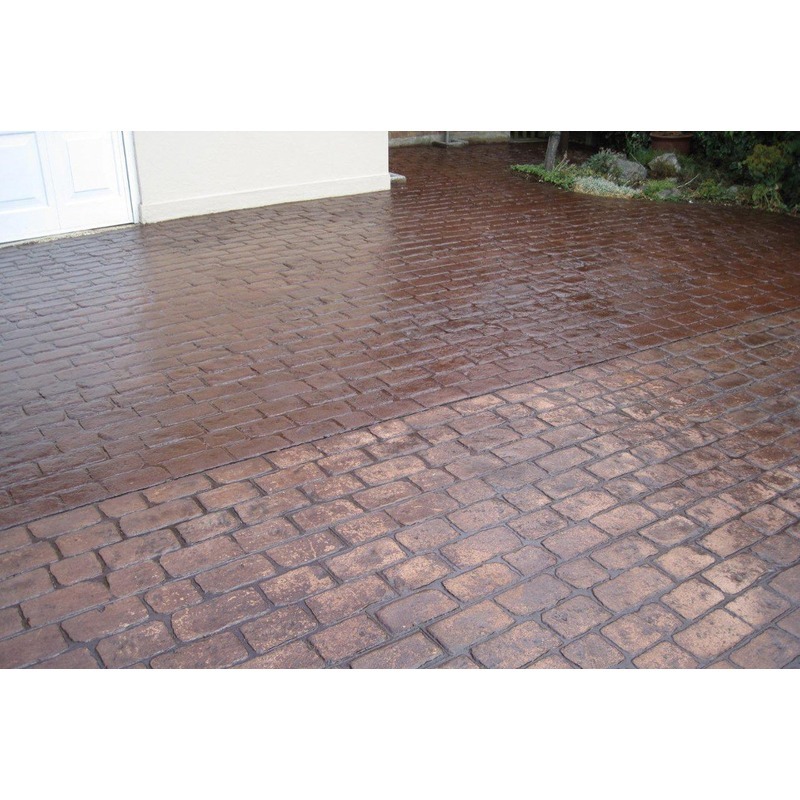 It will also help restore the original colouring of the surface of stamped or pressed concrete. It is non-yellowing and has an excellent resistance to water, alkalis and acids. It also contains a UV absorber to improve protection from ultra-violet light and prevent colour loss. Protects the surface from oil and other staining. Seals, protects and enhances the surface of all pattern imprinted concrete concrete. Easily applied by sprayer or broom. 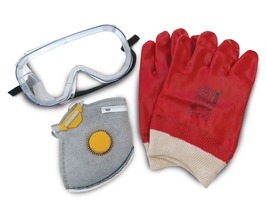 Protects against colour loss and surface wear. 4 to 6m² per litre (dependent on condition). The imprinted concrete slab must be fully surface dry after washing the paving off by pressure washing. Brush slab to remove any dirt or debris. Must be applied via a paving sprayer or soft broom normally in two equal applications, keeping the paving sprayer head moving to avoid pooling. The first application must be brushed into the surface and allowed to dry past tacky prior to applying the second coat of sealer onto the paving. Avoid application in strong, direct sunlight - do not apply if rain is likely within 3 hours of application. 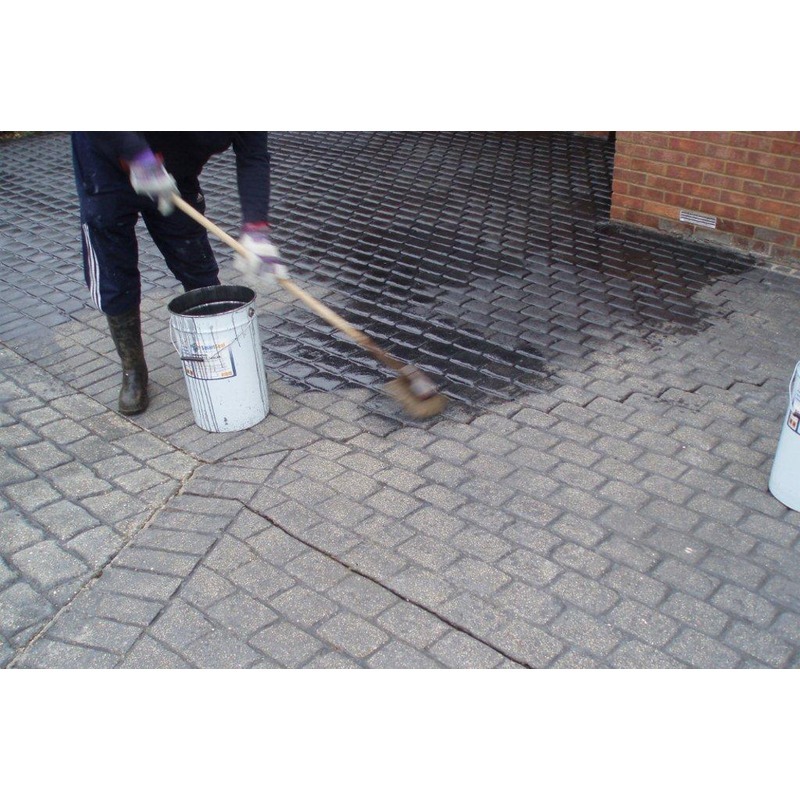 Deicing salts should not be applied directly on Smartseal block paving or concrete sealers. Salt chemically reduces the temperature at which water freezes and will result in water ingress into the concrete. Subsequent freezing may result in the concrete ‘seal’ being broken by the expansion of water as it freezes and white ‘pitted’ areas may become visible.